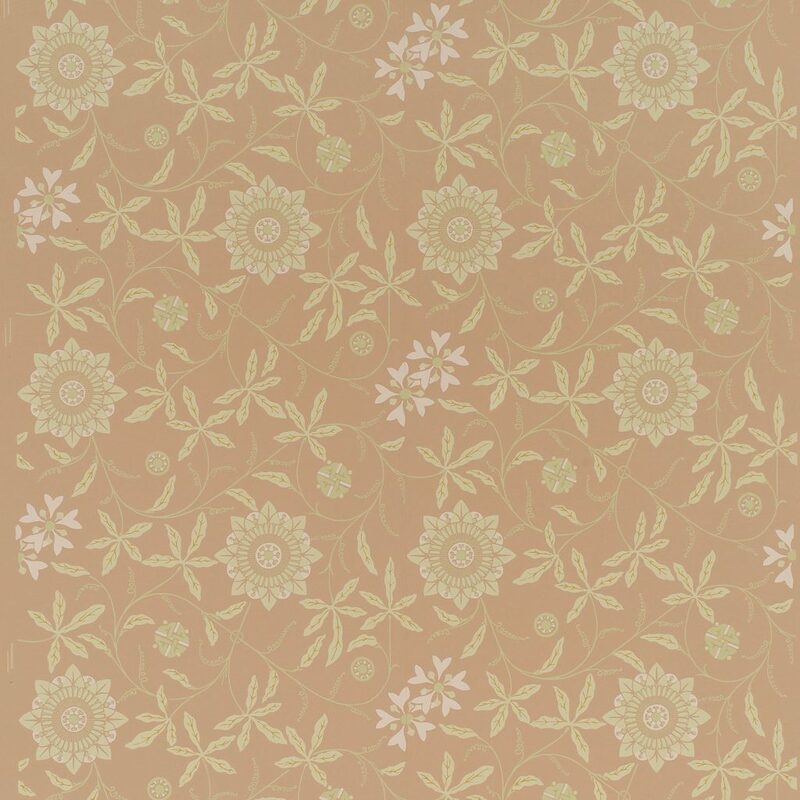 This pattern is licensed to Adelphi Paper Hangings by the the Cooper-Hewitt, National Design Museum, Smithsonian Institution. By the 1860s machine roller printing began to replace block printing as the dominant technology of the industry. Even so, during the transition period pattern design often retained a strong influence from the block printing era. Later, smaller, repetitive design motifs not well suited for hand printing began to dominate block printing largely disappeared until it was revived towards the end of the 19th century in the Arts and Crafts movement. Adelphi occasionally reproduces patterns from this post-1860s period when they retain sufficient design and color characteristics lend themselves well to block printing and when they will benefit from the subtlety and attention to detail that block printing allows. Imperial Measurements: Repeat 16 inches, width 19 inches, length 11 yards, half-drop match. Metric Measurements: 40.6 cm, 48.3 cm, 10 m.